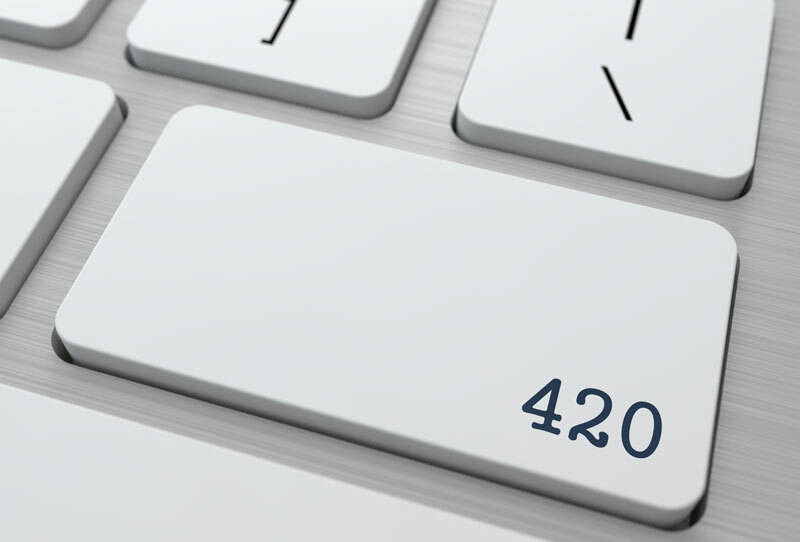 In many ways, the legal cannabis industry is the ideal venue for the proliferation of marijuana web developer jobs alongside a marked increase in demand for cannabis products and the establishment of local businesses. In recent years, cannabis legalization advocates have made major head way in helping to destigmatize cannabis culture and create fertile ground for a burgeoning legal job market. Simultaneously, the online world is expanding with similar gusto as more websites and mobile applications crop up to assist in making the consumer and employee experience more streamlined. Nowhere is this expansion more evident than with marijuana web developer jobs, which aim to bring potential customers and businesses closer together under the fertile legal green rush. In the same way master cannabis cultivators establish a grow operation from the ground up, web developers are responsible for programming the layout and functions of a site through coding, before a web designer can come in to bolster the site or application to its full potential. The last decade has shown a surge in web development across industries, with major tech startup hubs like Silicon Valley and Seattle presenting a community of young entrepreneurs looking to capitalize on the latest trends. When it comes to weed, web developers were early to spring on the legal industry as it has broken in recent years. From the onset, it was clear that consumers needed more comprehensive platforms for viewing local cannabis dispensaries. Mobile applications such as Leafly and Weedmaps use location based technology to aggregate legal businesses in the area, as well as offer store information and menus for each company profile. Additionally, Weedmaps compiles all the medical marijuana doctors throughout an area, while Leafly provides well-researched information on strains and other culturally and historically significant cannabis news. Not only have these resources been ideal for consumers, it has also acted as a predominant avenue for businesses to advertise. At present, it’s unlikely you’ll find more than a handful of dispensaries in major cities like Portland, Oregon that don’t have Leafly profiles. For this reason, marijuana web developer jobs can bring in big paychecks. These resources aren’t necessarily inexpensive for businesses, but they are nearly omnipresent in the cannabis job market. Another mode that has appeared as programmers clamor for marijuana web developer jobs are delivery apps. This can be somewhat of a tricky ordeal, since recreational cannabis delivery is still largely prohibited, with some exceptions in Denver, Colorado and once again, Portland, Oregon. However, for medical cannabis patients, there are several up and coming apps consumers are using to obtain their medical marijuana, without having to visit a dispensary. These applications are especially important for the medical community, since not all patients have access to dispensaries, or are limited due to age, mobility or medical status. For this reason, it’s clear that marijuana web developer jobs can be both beneficial financially for the programmer, but also integral to the community at large. Two of the more popular delivery apps include Eaze and Grassp. As the names suggest, Eaze and Grassp hope to streamline the process of acquiring medical cannabis, without fear of reprisal from the law. Since cannabis regulations are constantly being updated, developers and associated businesses have to be careful to comply. Not surprisingly, another platform undergoing significant growth are cannabis themed social media applications. MassRoots is essentially the Instagram for cannabis lovers. On this platform, members can share, comment and like others’ photos, without worrying that the images will reach the wrong audience. MassRoots is a great example of how marijuana web developer jobs run the gamut across demographics. Unfortunately, it is also an example of how not every online business encourages significant rewards. The company recently defaulted on a creditor debt reaching almost one million dollars in 2016, after having failed to turn profits in years past. While cannabis culture is certainly experiencing a major renewal as consumption has become normalized, social media apps are at the whim of a smaller group of users than major, generalized social media platforms. Another example of social media apps is the friendship and dating platform HighThere! The site posits a “…social network that promotes uniting cannabis users and enthusiasts with each other in a friendly and judgment-free environment.” Like MassRoots, high there attempts to help bring the cannabis community closer together in a “safer space” where there is less threat of judgement or unwanted oversight from friends or loved ones. HighThere! has experienced some legitimate critical and commercial success thanks to its user friendly and even groundbreaking platform, thanks to marijuana web developer jobs. In addition to offering users a detailed profile describing their cannabis habits, as well as non-weed interests, the app also provides a social newsfeed, with consistent updates from other users. With each passing month, more mobile applications are appearing on the Apple and Android app store. Weed Scale 4.20 is an easy-to-use app for androids that helps consumers make sure their dealer isn’t screwing them over with sticks and stones. While not strictly part of the legal industry, this app (which weighs up to 5g) is a quick way to check if your eighth is really an eighth, or a stem with some shake on it. On these websites, viewers can keep updated on developments occurring between cannabis and music, art and sports, as well as current laws and developing legislation. Finding marijuana web developer jobs is not an exact science and requires programmers with a true appreciation for cannabis and an entrepreneurial spirit. In fact, NerdWallet recently classified the legal marijuana industry as the second best industry for entrepreneurs in 2017. In a similar fashion to other cannabis jobs, marijuana web developer jobs don’t inherently require a college degree, making it one of the more accessible industries for passionate individuals who don’t want to be paying college debt well into their forties and beyond. There are a number of different paths programmers can take in pursuing marijuana web developer jobs, including agencies, freelance opportunities and popular work from home marijuana jobs. Cannabis specific web development agencies have propagated in growing numbers to profit off the niche nature of the industry. With that said, as cannabis becomes more mainstreamed, web developers from all backgrounds are taking a bite out of the ripe cannabusiness. In general, salaries for marijuana web developer jobs have a higher median than most other positions in the American job market. Average salaries land somewhere around $65,000 and can reach heights past the six figure mark. Even entry level web developer jobs begin around $46,000 according to usnews.com. Aside from the elevated pay, web developer jobs provide a number of pros for workers looking to start their own companies, or to have more control over their work schedule. These kind of positions offer greater opportunity for freelance marijuana jobs, which is perfect for those in transit or desiring non-traditional work experiences. Conversely, careers in web development don’t always provide security, as entrepreneurs face the risk of creating apps and websites that aren’t financially successful, as we see in the case of MassRoots. While the average salary for web developers has decreased a bit since reaching a high in 2010, the job still represents one of the top five best technology jobs in terms of financial reward. Although considerable strides have been made in cannabis web development, there is still much room for improvement and expansion. While Leafly and Weedmaps are still making a killing, many other apps are struggling to bring in the same revenue. While there are still evident hurdles keeping cannabis from bridging the pop culture gap countrywide, there has never been a better time to take advantage of the fertile ground the legal cannabusiness has to offer.